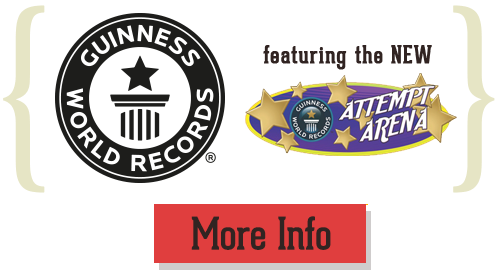 Experience three unique attractions including Guinness World Records Museum which introduces the BRAND NEW Attempt Arena! Our 3D attraction,Tomb Rider 3D, and our bone-chilling Haunted Adventure. 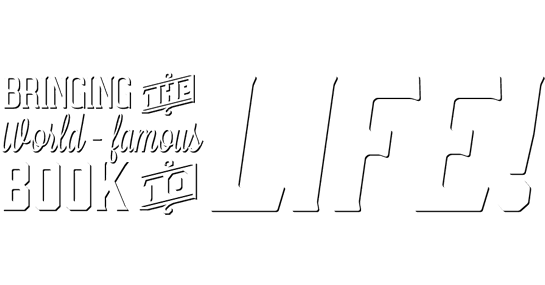 Are you ready to be certified #OFFICIALLYAMAZING? Introducing the BRAND NEW Attempt Arena! We are the first museum in the World to give guests a chance to earn an official Guinness World Record title! T he undead have taken over San Antonio’s creepiest mansion. Dare to tour? O ur newest attraction is a multi-million dollar, special effect 3D interactive, adventure ride! Are your attractions wheelchair accessible? 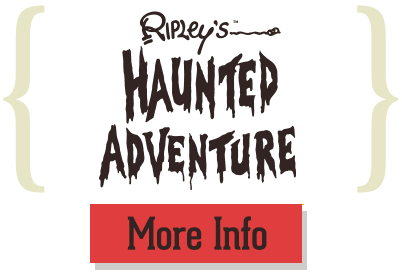 Both our Guinness World Records Museum and Ripley’s Haunted Adventure are completely wheelchair accessible. 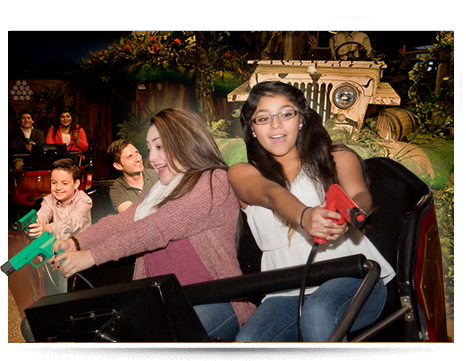 Our Tomb Rider 3-D Adventure Ride has a car specifically made for our handicapped guests to be transferred. 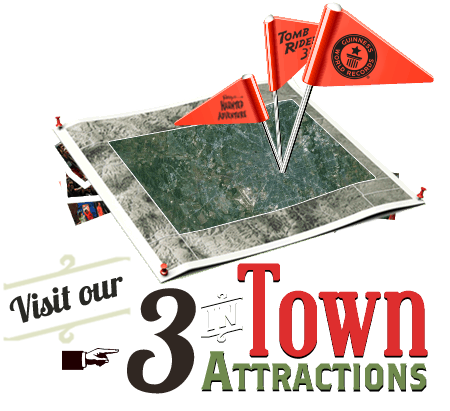 Several public parking lots are located conveniently within walking distance of our attractions; parking fees may vary. 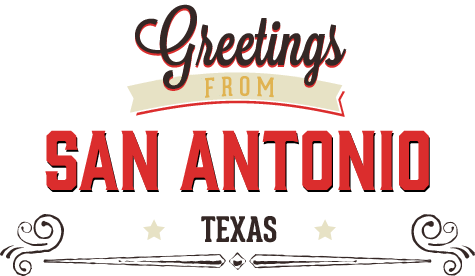 We are located in beautiful downtown San Antonio, at 329 Alamo Plaza, directly across from the historic Alamo. We are located only about two blocks away from the Riverwalk and other very popular attractions. How long is each attraction? 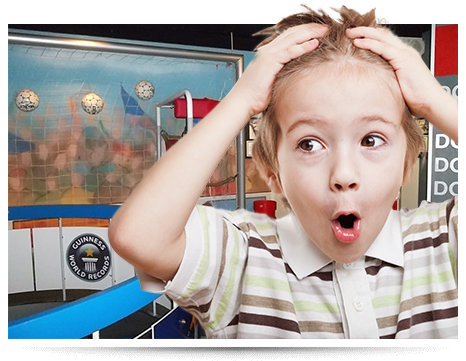 Our Guinness World Records Museum is a walk-through, self-paced museum which averages approximately 30 – 60 minutes for the complete tour. 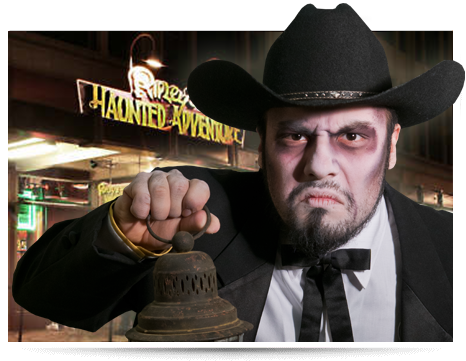 Our Haunted Adventure and Tomb Rider 3-D Adventure are each about a 15 – 20 minute experience. At the end of our Tomb Rider 3-D Adventure ride, guests are welcome to play as long as they’d like in our unique arcade. How many times can I go through? Each ticket is good for one entry. 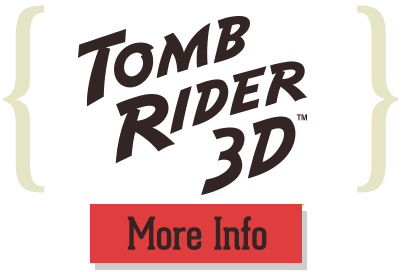 However, for our Tomb Rider 3-D Adventure Ride at the end of the ride we give a coupon to re-ride for only $3 on the same day of ticket purchase if our guests would like to have a rematch in this video game style ride. Our tickets do not expire until used. 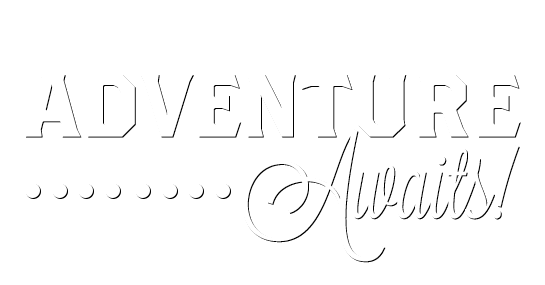 Therefore guests are able to conveniently split attractions throughout the day or over a few days if needed. Our snack bar is located in the Guinness World Records lobby. We serve a variety of snacks such as mini melts ice cream, hot dogs, pizza, nachos, chips, fountain drinks and other small snacks. You’ll find coupons for our attractions on any brochure rack located in many area hotels or the Plaza visitor center. We also offer military, AAA, senior citizen, and group discounts, as well as one on our website. We do not have a gift shop but offer souvenir items for purchase at our ticket booths. 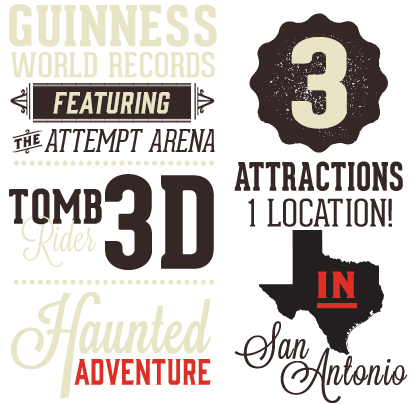 To get in touch directly, please call (210) 226-2828, ext 100 or complete our quick, online Group Form.